While I believe his question was answered, I thought it worthwhile to explain Paper.li (and other curation tools) and how they can increase your social media presence. Now we have all heard the saying that Content is King but with so much content out there, how do we make sense of it all. In comes some effective and easy to use tools that help everyone make sense of the constant stream of information flowing out of the Internet. While there are many curation tools out there designed to increase your visibility, generate followers and reach, I think these four are pretty effective, simple to use and a good way of broadening your reach. Scoop.it: Scoop.it allows its users to create an information resource on any topic they like. It gives people a quick and easy way to curate content. You set up a Scoop.it page and begin gathering online resources, including ones suggested by the site. You can “scoop” or ignore articles, add pages found on the web and Scoop.it has a feature to invite others to share their content. Scoop.it makes it easier for users to show their expertise and interest in a subject and share it with others. Twylah: Twylah is sort of like Paper.li but with your own tweets). Twylah examines your live Twitter stream and selects up to 20 topics that you tweet about the most. Twylah then selects which tweets will be published on your branded pages based on the frequency and recency of your tweets. Twylah is based on subject, so the more you tweet about one subject, the more likely it is to turn up at the top of your branded page. All Twylah pages within your profile include a Twitter bio, Facebook Like button and a tweet button for easy sharing. Storify: Storify allows you to easily search, find specific content, drag and drop individual stories and create your own selection of content. You can turn what people post on social media into compelling stories. You can collect photos, video, tweets and more to publish them in one spot and the stories can be embedded anywhere. Storify, they say, gives users a way to help their audience make sense of the stream of information flowing out of social networks. 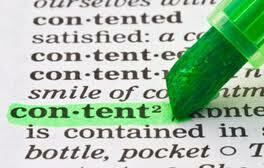 Content curation is a response to the desire to become an expert on a specific topic of interest. Content curation can help people and businesses that want to either gain awareness on what’s happening in a specific an area or seek to become recognized knowledge experts for a specific topic, grow their presence and reach. It takes a bit of work to set up profile, set parameters and start publishing but the time is well worth it. This entry was posted in Weekly Updates and tagged paper.li, scoop.it, Social media, sontent curation, storify, twylah. Bookmark the permalink.